This afternoon, 3D printing giant Stratasys announced the $403 million acquisition of MakerBot. And while it won't change anything about MakerBot's brand, Stratasys could supply the know-how to scale up business in a big way. That could mean more stores, more factories, and even more offices. Don’t feel bad if you don’t know much about Stratasys; The Minnesota-based company has spent the past 33 years specializing in the commercial side of rapid prototyping, selling systems for as much as $100,000 a pop. But they’ve made several pointed attempts to break into the consumer market since 2010, when they partnered with HP to make and distribute a line of desktop 3D printers. That ill-fated deal was cut short last August, after only two years. And in April of last year, they merged with the Israeli 3D printing startup, Objet, which makes a printer that uses a variety of materials (including paper) to print. After that $1.4 billion deal, MakerBot represented one of two remaining companies that posed real competition in the desktop printer market—and Stratasys has just eliminated it. 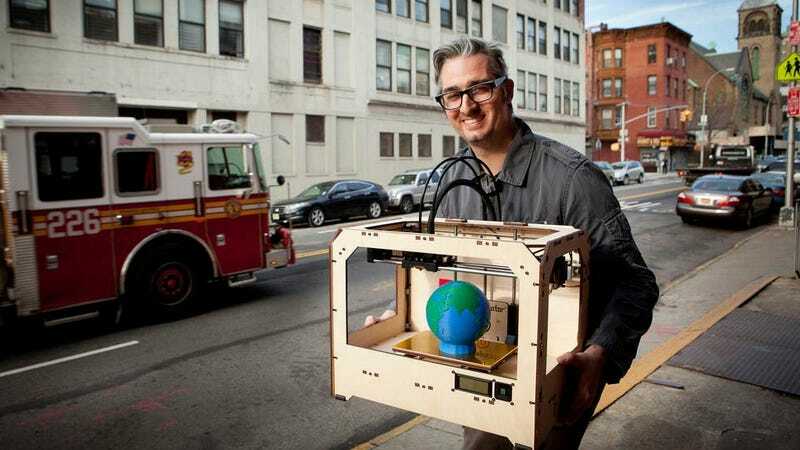 According to the announcement, MakerBot will continue to function under its own brand and direction, but will share what reps call “intellectual property and technical know-how.” So no, this won’t affect their Brooklyn cred—though it may bring more midwesterners through town.